You are here: Home / Health / Is Fasting Bad for Women? Please, please, please!! make your podcast more accessible for all!! First of all, Immersion is an amazing value. For a tiny amount of money, you get an incredible ongoing education where John and Brad P distill the latest research into a form the rest of us can easily comprehend. You also get access to all the VI products that have yet to be! But the information covered in the uncensored podcasts cannot be simply put up for all to access. It’s too controversial (truth is often like that). Yes, Naomi, you are right that not all people can handle the truth. My point is that it would be nice to have a possibility to buy single podcast. I don’t want to buy immersion, as I’m not interested in VI workouts, but I’m interested in the research part, and I wish I could buy single podcasts. Yes Naomi, you’re right, not all can handle the truth. But it would be great to have a possibility to buy single podcasts. I’m not going to buy the immersion, as I’m not interested in the VI workouts. I would only like to be able to buy those podcasts on topics that are particularly interesting for me. I loved this podcast and how it clarified Intermittent Fasting VS Intermittent FEEDING. 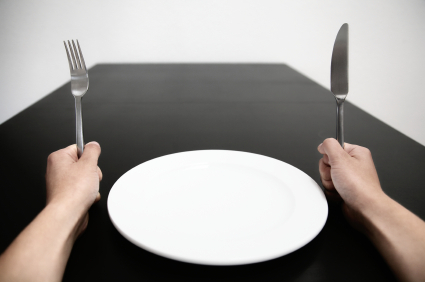 If you are fasting every day and eating only during a small window or one meal, that is Intermittent Feeding, not Intermittent Fasting. Intermittent Fasting is when you eat normal every day and take a break from eating (or fast) on occasion or intermittently. A normal sleep fast is just part of normal eating. I did this almost two years ago; I ate one meal a day for about three months. It’s okay for short periods of time when you have fat storage on your body, but it started messing me up when I got down to low body fat. I didn’t know it at the time, I had never been lean before, but now it makes total sense. Lean athletes should not be intermittent feeding (or possibly even intermittent fasting) and working extremely hard at training at the same time. Awesome article and podcast. Great job Brad and John. LOL I’m so glad we are all part of your great experiment. 🙂 At least you use our experiences and data and give us great things like this.